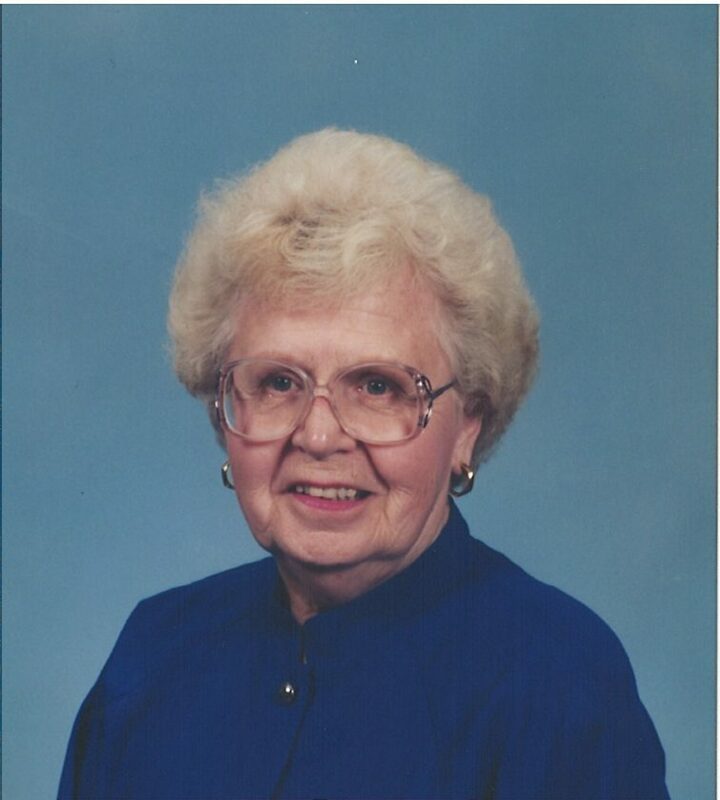 ESCANABA — Emma A. Meissner, 94, of Escanaba, passed away early Tuesday morning, Dec. 4, 2018 at her home with her family by her side. Emma was born in Marinette, Wis., on June 20 1924, daughter of Mary (Powers) and Jacob Gaspar. Emma graduated from Marinette High School in 1942 then attended Oshkosh State Teachers College. After college, Emma married LT Richard Meissner in Childress, Texas, on Sept. 27, 1945. Together they celebrated 69 years of marriage and raised their five children. Emma, along with her husband Richard lived in Marinette, Wis., until they moved to Ford River in 1950 where Emma taught school at the Ford River one room schoolhouse. Later they moved to Escanaba where Emma continued to teach and raise her family. After teaching Emma joined her husband working at Delta County Credit Union until they both retired in 1988. Emma enjoyed her bridge club, her trips to Texas with her husband and spending time with her grandchildren. She is survived by her children, Sandra (Jeffrey) Chappelle, Mary (David) Miller, James Meissner, Patrick (Anna) Meissner and Bernard Meissner; grandchildren, Tammy, Joshua, Natasha, Gwendoleon, Jennifer and Richard; one great-grandchild; sister-in-law, Susan (Jim) Hanson; brothers-in-law, Paul Meissner, Thomas Meissner, and James Meissner; and many nieces and nephews. Emma was preceded in death by her parents, and husband, Richard. Visitation will be held on Tuesday, Dec. 11, from 1 to 2:30 p.m. at the Crawford Funeral Home, 302 S. 13th St., Escanaba. The Mass of Christian Burial will follow at 3 p.m. at St. Thomas the Apostle Church with Rev. Rick Courier officiating. Burial will take place in Holy Cross Cemetery next spring. The Crawford Funeral Homes are assisting the Meissner family.